The Utah Baroque Ensemble would like to announce the results of their 7th annual scholarship competition, held on Friday, March 27th at the Orem Public Library. 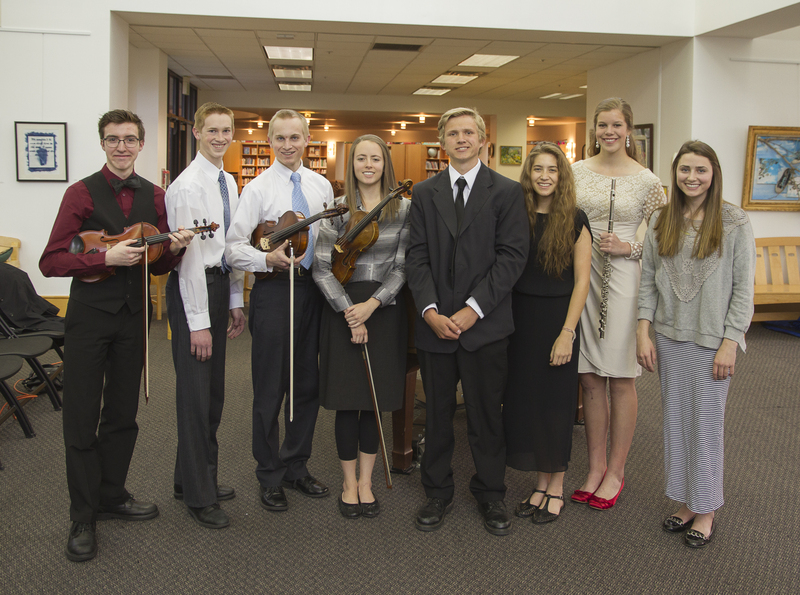 Eight outstanding Utah County students selected as finalists performed for the public that evening. The recital was emceed by Roselle Stevenson. Miriam Wagstaff, age 14, from Pleasant Grove, received the $500 first-prize scholarship. She performed the 1stand 3rd movements of Arcangelo Corelli’s violin sonata no.1. She will perform again on Sunday, April 26th at the Utah Baroque Ensemble concert in Orem. A second scholarship of $300 was awarded to Alexander Hawker, a senior from Springville. He performed the Violin Sonata no. 5 (“La Folia”), also by Corelli, and will perform at the UBE concert on April 19th in Provo. For more information on the concerts, go to www.utahbaroque.org. The other six finalists, each receiving a $100 scholarship were: Zachary Eliason, a sophomore and Mischael Staples, a junior, both attending Timpview High School; Cassidy Erickson, a senior attending Springville High School; Rachel Jacob, a junior and Serena Peterson, a senior, both attending Mountain View High School; and Emma Jensen, a senior attending American Fork High School. The recital was sponsored by the Orem Public Library and the Community Recreation Organization. The Utah Baroque Ensemble is sponsored by The Utah Arts Council, the National Endowment for the Arts, and by the Orem CARE program. 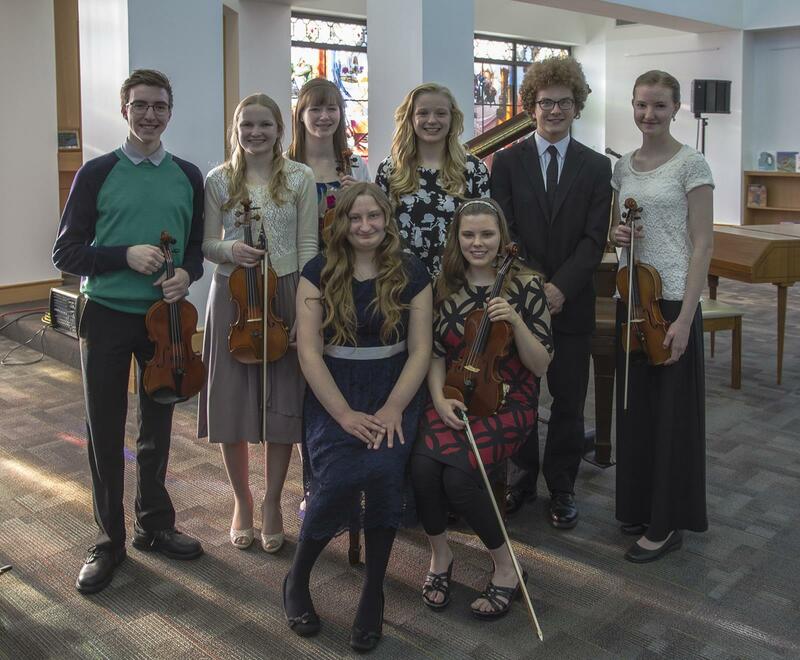 These are the finalists for the 2015 Utah Baroque Ensemble Scholarship Competition. All of them will perform in a recital at the Orem Public Library on March 27th, 2015 at 7 p.m. One student will receive a $500 scholarship and all others will receive a $100 scholarship. Thank you to all students who applied. The number of talented young musicians in Utah County is amazing. Congratulations to the 2014 Student Scholarship Winner Catherine Winters and to all the finalists! G.F. Handel, Concerto in Bb Maj., 1st mov.